The OsciNet system is based on the OsciJet nozzle. The OsciJet nozzle is the multitalented solution for your application. It is based on a smart flow channeling which induces an instability in the internal flow. Thereby, this innovative nozzle is able to emit a sweeping or pulsating stream of fluid – without any moving parts! The jet oscillation produced by the OsciJet nozzle is simple to detect, for instance by using pressure sensors, microphones, or acceleration sensors. The frequency of the OsciJet nozzle is directly linked to the exiting flow rate. This way, not only real time acquisition of the current nozzle discharge is realized, but also detection of blockage and malfunction. This feature is unique to OsciJet nozzles. OsciNet is a modular system that combines each OsciJet nozzle with a stand-alone sensor. The sensor unit controls and reports continuously the status of each nozzle. Within the OsciNet system, the OsciJet nozzle evolves into the next generation “nozzle 4.0”. 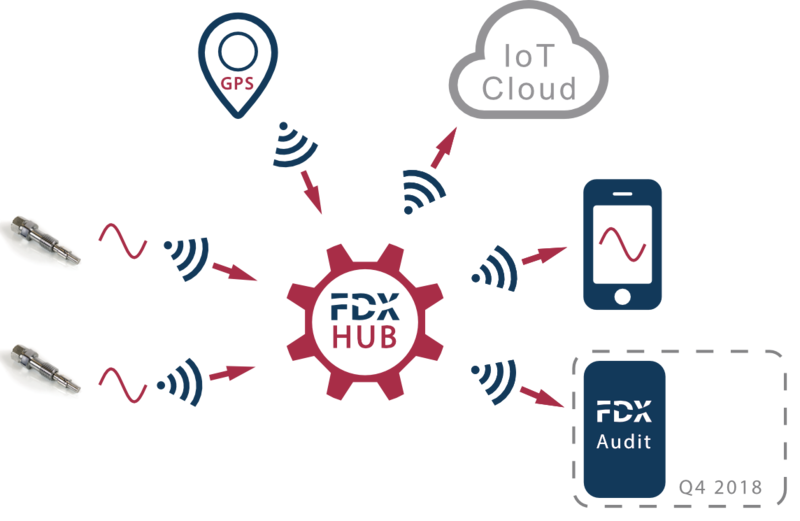 Status, discharge and pressure are detected in real time and send wirelessly to a central unit, the FDX HUB. 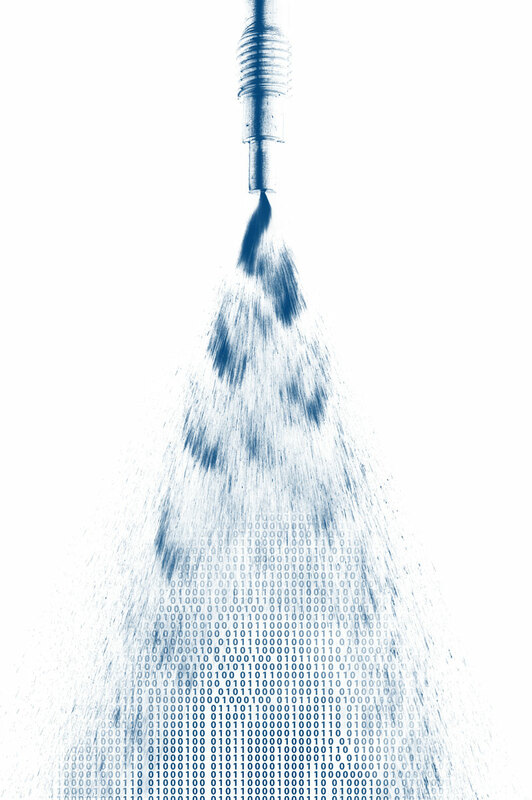 Here, data of all connected nozzles are collected for further processing. The open source messaging protocol MQTT is used to ensure compatibility with external applications (e.g., Amazon AWS IoT, Google Cloud IoT, Microsoft Azure). Blockage of a nozzle is detected immediately and communicated by the FDX HUB to a registered device, for example to a cell phone with an installed OsciNet Control App. OsciNet also measures the current nozzle discharge (i.e., flow rate) of each nozzle continuously and can record the data together with the current location through GPS. The OsciNet system replaces flowmeters that are usually expensive in terms of cost and maintenance, and adds new features helpful for optimizing your processes. As the next step, FDX will incorporate audit requirements. 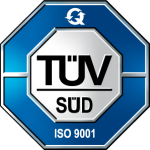 That means time stamps, current locations and the nozzle discharge are documented directly for regulatory reporting and certification. A possible application of the OsciNet system is the agricultural sector. 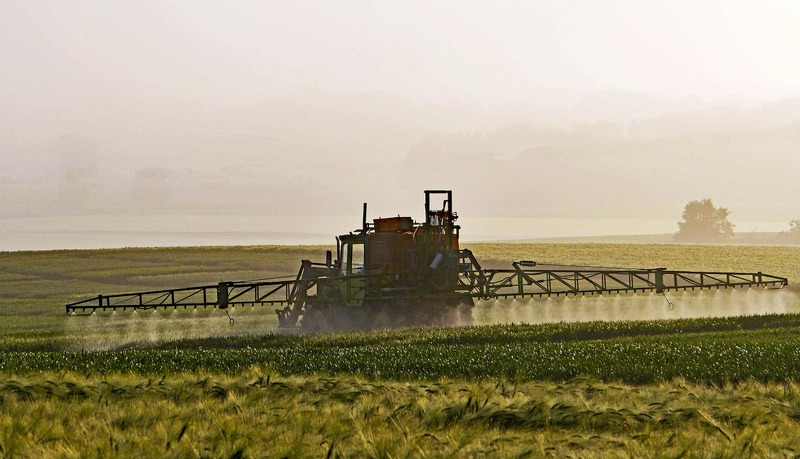 For crop protection active agents are distributed from boom sprayers. The unnoticed failure of one or more nozzles may cause severe crop shortfall. The OsciNet system reports failure immediately and also triggers a visual signal directly at the respective nozzle. In addition, the system issues a protocol of the local nozzle discharge which can optimize and minimize the use of active agent. The OsciNet µHUB is a backend for only a few nozzles. It can either be mounted in an existing network or span an access point by itself. The OsciNet µClient is the most valuable player within the OsciNet system. The client collects the signal from the nozzle and processes it, before it sends it to the hub. The client can be used with different sensors. The OsciNet Control App is the smart App that provides you with an overview of the current status of your nozzle system at any time.